Grass looks great on your lawn, but it really looks good on river banks and other places where it's allowed to grow free. 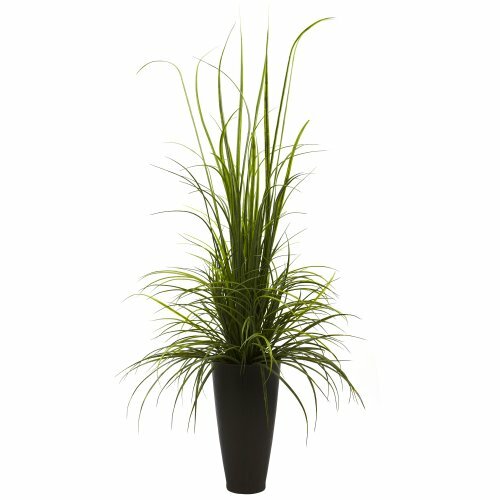 In fact, given room to grow unfettered, grass can be incredibly calming - tall, green and wispy. This stunning reproduction of a "grass bush" perfectly captures that look - tall blades of grass grow skyward, while other cascade downward, all coming out of an attractive brown planter. Never needs watering and is great for your home or office.